If you’re looking for a creative and proactive way to help the environment and reduce your waste, take a look at these eight fun upcycling ideas you could get involved with to breathe some new life into old objects that would otherwise be thrown away. Got an old chest of drawers that you don’t need? 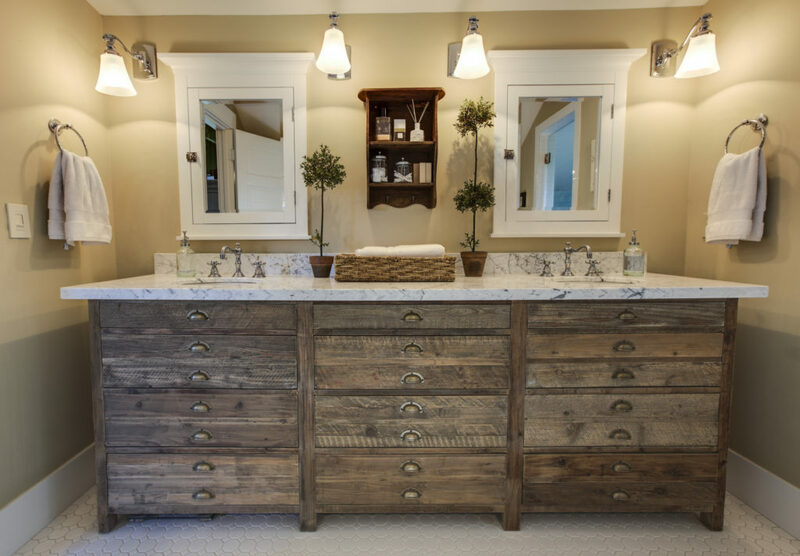 Don’t throw them away, instead why not turn them into a working bathroom vanity? You could remove the drawers inside to run the piping through and build a sink into the unit for a fabulous vintage focal point. Wood pallets are immensely versatile and can be upcycled in many ways, one great one has to be the wood pallet shoe rack. Simple to do and a really effective way to tidy up your shoes. Choose to paint it or leave it natural. If you feel up for a fun project another use for old paint cans is to convert them into hanging baskets! 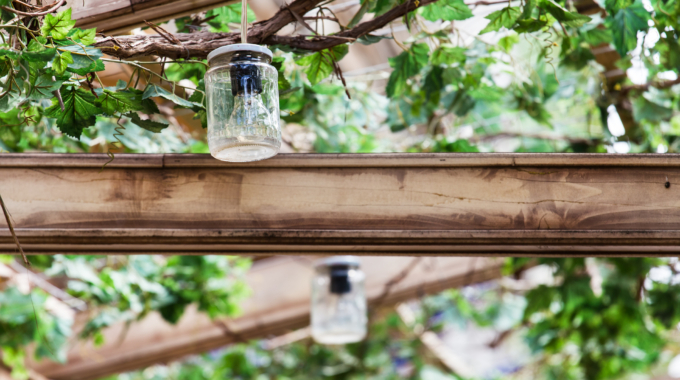 Give them a lick of paint, or leave them bare for a rustic charm and use them to hold your fledgling plants. 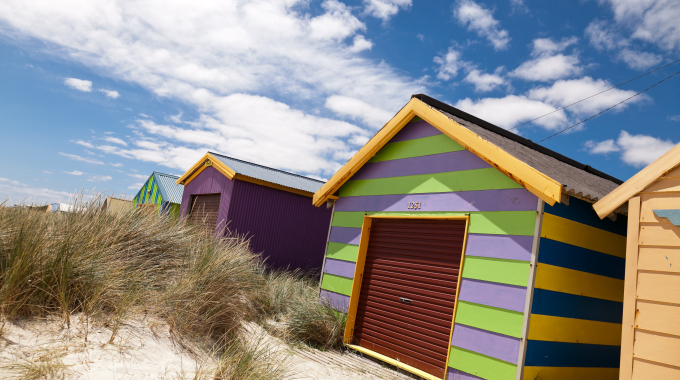 Any left over paint cans can’t be recycled through the usual kerbside collections but Sustainability Victoria has set up 30 permanent drop off sites around Victoria where you can take your pant cans to be recycled. Read about it here. Coffee grounds are great for composting and worm farms but you can also make use of them in a more creative way. 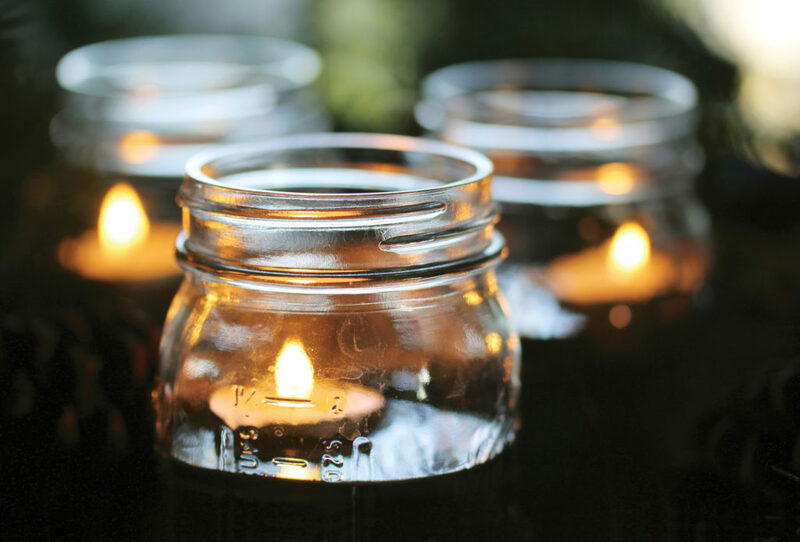 Why not try your hand at making a coffee scented candle!? The intoxicating smell is sure to make your home feel warm and cosy! 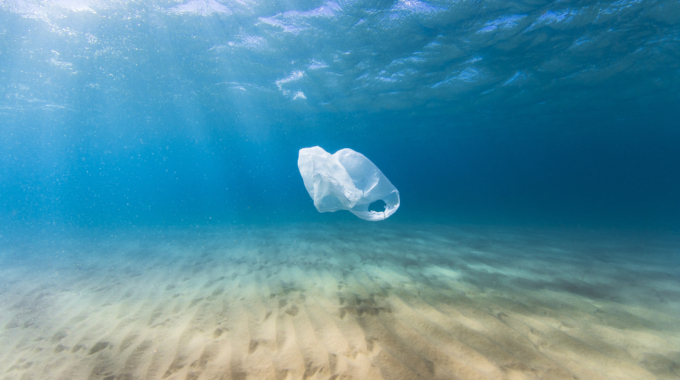 A shocking number of plastic bags end up in landfills, but they can actually be a really versatile tool. Use the plastic to create a yarn and knit yourself a reusable, environmentally friendly shopping bag instead. If you do end up with bags you need to recycle be sure to take them to your local supermarket and use the REDcycle bins. 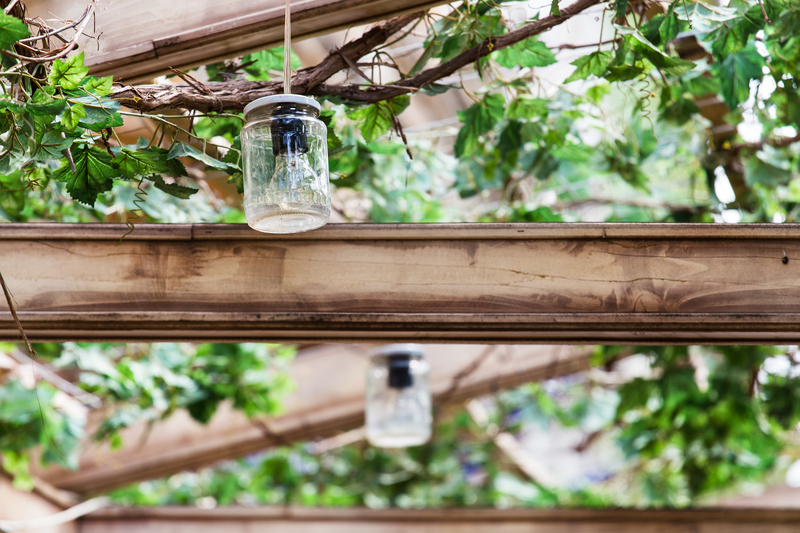 For a unique and beautiful lighting idea, try your hand at converting your old jam jars into lamps. Check out Pinterest for inspiration! Car tyres make up a huge portion of landfills, but they can be put to better use. Make an interesting subwoofer using a car tyre – as a bonus, the rubber will absorb some of the vibrations and make your music sound even better! Here’s one you might be interested in if you are in need of a home office or looking to expand your small business. 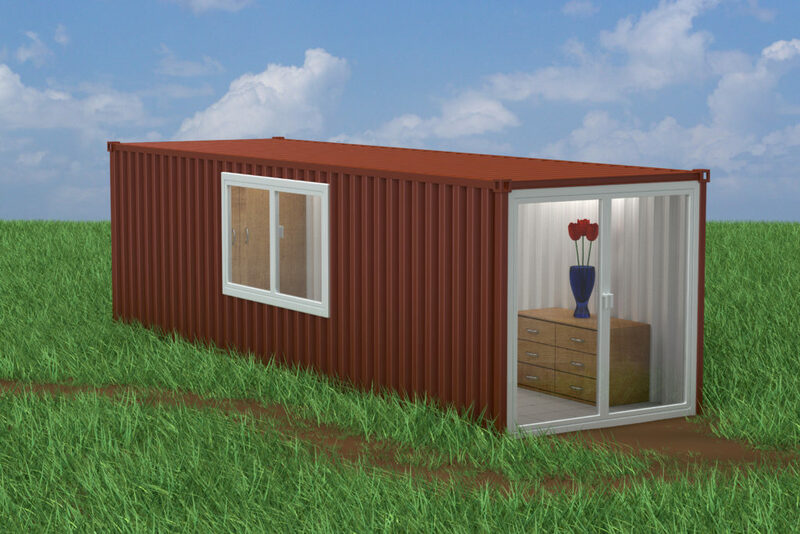 Why not look into upcycling shipping containers into an office? Shipping containers are actually hugely versatile and can be a cost-effective way to build offices, restaurants, classrooms and even homes! 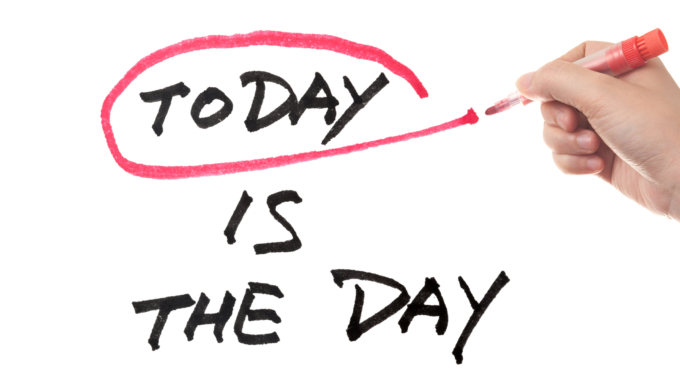 Read all about it here. If you need some help in the workplace to find out what can and cannot be recycled or to enquire about setting up a new recycling programme for your business, please contact us.